Wheatlands Health Care Center is the premier Continuing Care Retirement Community in Kingman, Kansas and the surrounding areas, offering services in Assisted Living, Skilled Nursing, Intermediate Care and Dementia Care. 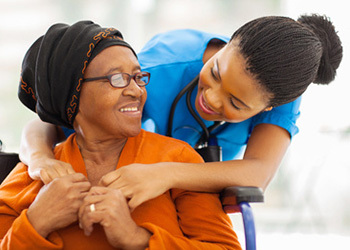 Person-Centered Care is a model of care that supports each elder’s individuality, independence, dignity, and privacy. Neighborhoods have been established within the facility to promote smaller groups of elders and caregivers to enhance the caregivers’ ability to provide individualized care. 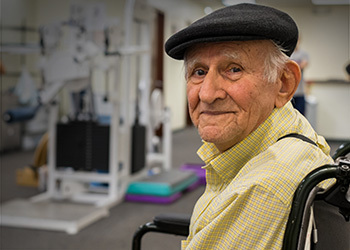 Through excellent nursing care, physical rehabilitation, social activities and new friendships, residents are inspired to achieve maximum individual potential and independence. Family members are encouraged to remain a vital factor in each resident’s life. 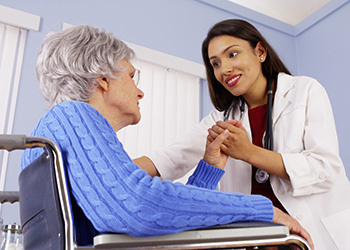 Close cooperation with residents, family, and staff are all important components of Wheatlands’ person-centered care concept. Families are encouraged to attend care plan meetings and be involved in all aspects of their loved ones’ care. Contact us today to learn more about our unique, caring environment. Wheatlands Health Care Center is excited to introduce you to WheatRidge, Kingman’s latest concept in independent retirement living. Our stylish new WheatRidge duplexes offer worry-free home ownership for today, and peace of mind knowing that a continuum of care is also available on our campus, should you need it in the future.